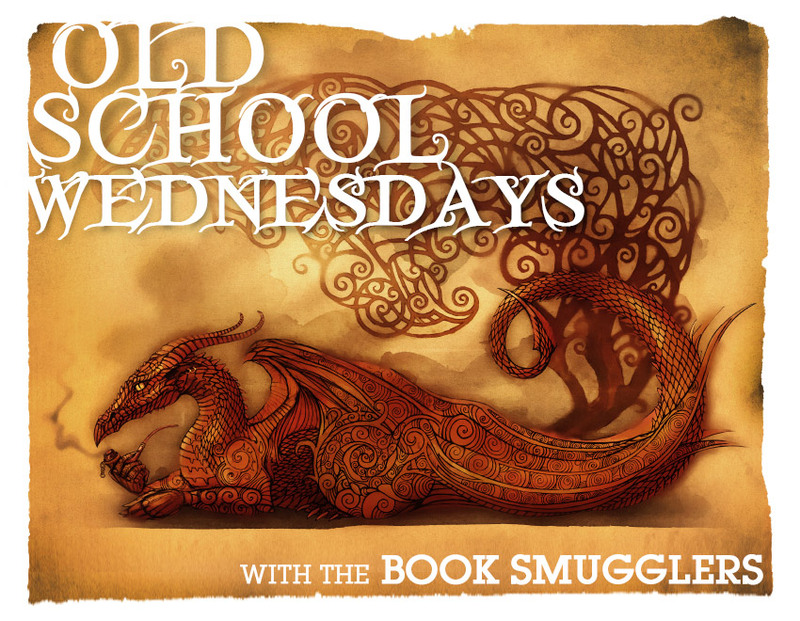 This month’s OSW Readalong pick is Temeraire/His Majesty’s Dragon by Naomi Novik. We’re treating this review as a straight-up, simple review with Ana’s and Thea’s takes. We’ll give our opinions regarding the book, then we’ll ask YOU to join in. Aerial combat brings a thrilling new dimension to the Napoleonic Wars as valiant warriors ride mighty fighting dragons, bred for size or speed. When HMS Reliant captures a French frigate and seizes the precious cargo, an unhatched dragon egg, fate sweeps Captain Will Laurence from his seafaring life into an uncertain future – and an unexpected kinship with a most extraordinary creature. Thrust into the rarified world of the Aerial Corps as master of the dragon Temeraire, he will face a crash course in the daring tactics of airborne battle. For as France’s own dragon-borne forces rally to breach British soil in Bonaparte’s boldest gambit, Laurence and Temeraire must soar into their own baptism of fire. Well, quelle surprise. This did not go as I expected. For some reason, I always assumed (expected, thought) that this book would be all the alternate-history version of the Napoleonic Wars, only with some side dragons thrown there as villains. I KNOW. Instead, what I got was this deeply emotional adventure following the developing bond between a man and a dragon in the context of a war raging far in the background (Ok, so maybe not that far in the background. I will admit that I skipped a lot of the action sequences just so I could get to the scenes between Laurence and Temeraire, and between Temeraire and everybody else. What, I am allowed to just be a reader for these readalongs, right?). 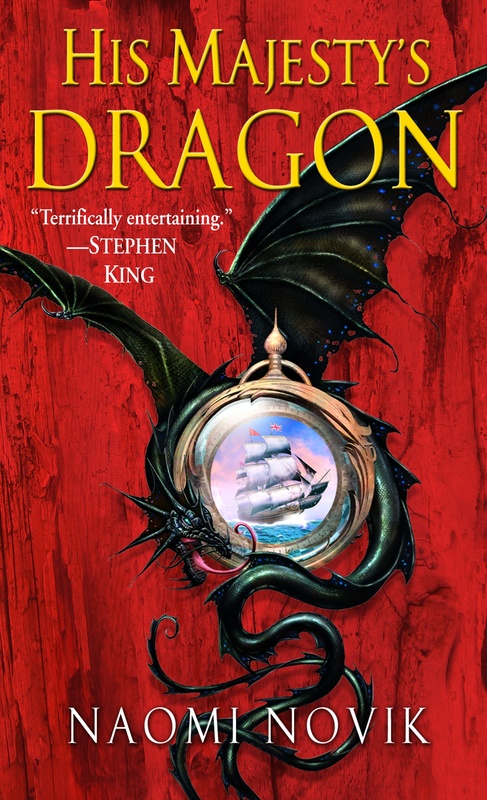 So here is the thing for me when it came to Temeraire: more than a smart alternate version of our world with added dragons, the strength of this book is in the relationships – not only between Laurence and Temeraire but between Laurence and the crew of aviators he comes to meet and rely on; between Temeraire and the other dragons in the compound; between Laurence and his new situation out of the navy and into new deep waters and as a dragon handler. The latter was really interesting in the way that it placed Laurence in situations where he had to constantly question the societal/political mores he had known up until that point when it came to gender relations, power dynamics and social strata. Coming to respect his fellow aviators as equals and to see women as fully capable to engage in the very same profession was part of his journey and one that I appreciated very much. Also, awesome lady aviators. The choice of having Laurence as viewpoint narrator is perfect of course, because although he lives in this world and therefore needs no introduction to this alternate-version of Europe, he is still very new to the world of dragon-handling and as such he functioned really well as the person to follow into this new adventure. And I am not much of a dragon person but boy how much did I love this group of characters? Lots and lots. But as much as I loved Temeraire and his fellow dragons, there is one lingering question at the back of my mind: why. Even though there are dragons in positions of power, WHY are the dragons subordinate to the will of humans? WHY, when they are as smart (and sometimes more even) and much BIGGER? WHY don’t they revolt and take over THE WORLD and then train humans as their handlers? Is there really a choice there for the dragons, to be paired with those humans and then be used as weapons especially as they are portrayed as sentient, smart creatures? Is this something that is addressed in the course of the series? I plan on finding out. Cool Laurence and Temeraire doodle and EVERYTHING! This is why I am a fool: because I have had this book in my possession for years – literally years – and I haven’t read it. Because His Majesty’s Dragon? It is awesomesauce. I loved this book. Like Ana, I had some weird, unfair preconceived notions about what to expect when starting the Temeraire series. I was expecting some kitschy Eragon-esque wish-fulfillment type novel (sorry, Eragon fans), or a mundane tome about war with dragons. I certainly was not expecting this powerful tale of friendship and affection, of heartfelt characters in a fast-paced, alternate historical setting that manages to make me care about the Napoleonic wars (sorry again). I repeat, His Majesty’s Dragon is awesomesauce. I agree with Ana that the book’s greatest strength lies with its incredible characterizations – not just of human rider, Laurence, who is our main protagonist, but of the dragons, too. Temeraire is an incredible character who chafes at the notion of duty and prides himself on free will. Too, Temeraire questions his origins and abilities, and while he yearns to do right by his obligations, he will sacrifice everything for the safety of his beloved friend. In contrast, Laurence is a reserved and straight-laced navy man; his struggle and character arc originates with being stripped of his future at sea as a captain and being thrown into the life of an Aviator. As a Naval Captain, Laurence keeps his emotions and temper on a short leash and also understands the value of duty before his own desires. And yet… though Laurence insists in his narrative on checking his temper and abiding by the chain of command, there are flashes of emotion that speak to a hidden rebellious streak. Take, for example, Laurence’s upbringing: the son of a gentleman, Laurence chooses to go to sea instead of the clergy despite his father’s wishes, and despite having made a half-formed attachment to a gentleman’s daughter to take on as wife. Or, for another example, take his decision to look after the neglected dragon Levitas. While Laurence may act restrained and abides by a strict moral code, he is also a creature of suppressed powerful emotion – and those flashes we see are wondrous. Again and again while reading this book, the following thought occurred to me: the relationship and bond between Temeraire and Laurence reads almost like a great regency romance, albeit in a non-romantic setup (maybe it’s just me, though? ): there’s an instant attachment and bond between the pair, a fierce sense of mutual possession and belonging, the unshakable truth that either would sacrifice anything to be together, forever. The way that Naomi Novik plays with these emotions and tropes is utterly fascinating and undeniably brilliant; she forges an emotional bond that mimics human love and relationships in a cross-species, platonic way, and it is wholly satisfying. The same can be said for the relationships between other Aviators and their Dragons (or, Dragons and their Aviators if you prefer). I loved the gruffly affectionate interchanges between Maximus and Berkley, and especially the reserved Lily and Harcourt, or the aforementioned Levitas. Suffice it to say, the bonds between dragons and riders, between dragons and other dragons, and aviators amongst one another are nuanced and explored beautifully in His Majesty’s Dragon. Also nuanced and carefully explored is the historical setting of the series. I have little interest in the Napoleonic Wars or reading alternate history about this particular period, and yet with the introduction of aerial warfare and talking dragons, I found the setting (and the portentous battles) not only palatable, but fascinating. 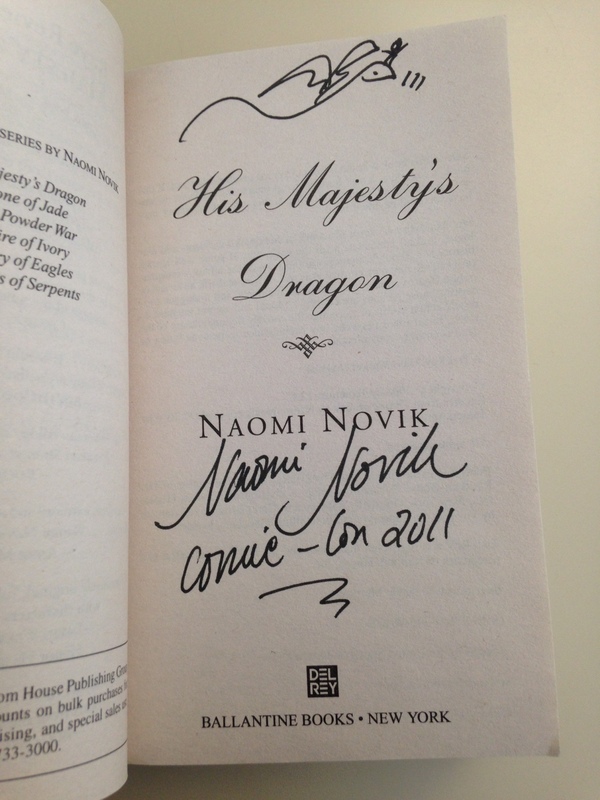 Novik There are surprising characters, and developments, too, that counteract the same old white male historical fantasy mold – there are female dragons and riders in His Majesty’s Aviary, and commanding officers are not at all what you might expect. I also appreciated the exploration of prejudices that Aviators face – many prejudices that Laurence himself had, initially! – as well as the divide between the Aviators and the Navy. There are misunderstandings, preconceived notions and other tension-fraught exchanges as Laurence goes from one branch of service for King and Country to another, and it is a wholly entertaining struggle. On the negative side, however, I can recognize my own biases: intellectually, I know that this is not really a groundbreaking or perfect story. There are overtones of Pern here, and the main duo of Laurence and Temeraire are almost too good to be true. Temeraire is a Super Special Rare Dragon, Laurence can basically do no wrong, and together the pair is utterly Mary Sue (Gary Stu?)-ish. Similarly, while the historical background is realized nicely, the actual war is far in the background of this book. Far more time is spent on the emotional bonds between dragon and rider, and the training and censure they endure before becoming battle-ready. Things develop a little on the slower side, and while many small vignette scenes are entertaining, they aren’t actually necessary to advancing the overall story. That said, I didn’t mind any of this. Not one bit. Because the truth is, when writing is this entertaining, and when dealing with lovable, fully-fleshed characters like Laurence and Temeraire? I’m more than happy to take off my critic hat, and, like the straight-laced Laurence, let out a good joyful whoop of delight. I will absolutely be back for more, and plan on reading Throne of Jade very soon. And now we turn it over to you! Sound off and let us know what you thought of His Majesty’s Dragon! I’m so happy you reviewed His Majesty’s Dragon because I just discovered it this fall, and you’ve both put into words exactly what I love about it. The relationship between Laurence and Temeraire is by far the strongest piece, and the contrasts with Levitas and his captain reflect the strength of their relationship to a heartbreaking degree. It’s a fun setting, but like Ana, I tended to skim the battle scenes. I just finished the second book, which dragged more at the beginning–they’re on a boat for seven months–but I’m still looking forward to continuing the series. It’s like a weird, beautiful cross between Jane Austen and Patrick O’Brian! I loved it too and will be adding the rest of the series to the TBR. Love that doodle/autograph page too. I’m so glad that you liked this book! I hoped that you both would. 🙂 I have a lovely copy that I purchased at Shakespeare & Company in Paris, that led to me making two very dear friends of mine — it turns out that saying the book you’re reading “Is the story of the Napoleonic War, but with dragons” is a great way to sound out how cool/nerdy the people you’re talking to are. I think one of my favorite things about the book, and Novik’s writing style in general, is how she works in these hilarious scenes parsed in the driest English imaginable, which makes them funnier. I think there was some line in there about when Laurence is taking a sheep to feed Temeraire, and there’s some line about how the sheep does not meet its death with dignity but decides to take its final revenge upon Laurence by defecating all over his clothes before finally being devoured. And Ana — rest assured, the later books definitely explore the question you posed! Suffice to say that Laurence and Temeraire do a bit of traveling, and they find that things aren’t the same all over. That’s all. I loved the first book, but each subsequent book in the series went further and further downhill for me. I stopped reading after Empire of Ivory. Would love to know what you guys think of the rest of the series! I enjoyed reading about 90% of His Majesty’s Dragon. Like everyone else here, the relationships between people, and watching Laurence accept the differences within the Aviary compared to the rest of society were highlights of the story for me. The problem for me with the story was not that I couldn’t accept dragons; not that I couldn’t accept the social differences within the Aviary; it was quite simply the climactic battle made my head ache. The dragon-powered air barges being employed just so completely threw me out of the story I couldn’t take anything else seriously about the book after that. I don’t expect my SF or Fantasy reading to be in line with every jot and tittle of known physics or physiology. I can accept vast bending of the laws of thermodynamics with only a little handwaving, when it’s done within a reasonable framework. I can ignore all the reasons dragons won’t work; and accept them, with only a little hiccup. I can even accept (in other stories) dirigibles far more bizarre than the actual flying aircraft carriers of the USN’s program. It was when I started to think about the size of the force embarked upon those air barges, what was demonstrated to have been in place, their speed, and the simple forced proximity of the dragon engines to actually power the things it took my suspension of disbelief and completely destroyed it. I regret that I cannot stop thinking about those particular impossibilities – since the story when it was focusing on relationships was phenomenal. In the end, for me, I just couldn’t find it within me to go on with this series. I’d be interested to hear where other readers find they’ve hit their own limits for handwaving. So glad you read this! I’ve loved this series since it came out. While I’ve had some reservations about a couple of the books, the series overall is worth reading and re-reading. This is one of my favorite current series! So glad you finally discovered it. Oh, I’m so happy that you guys gave it a whirl. I recently reread the whole series back-to-back and loved it even more. In the first book I think there is quite a lot of wish-fulfillment, but Novik has the time and space to really consider what her world would be like, and she takes advantage of that. I’d give the whole series a 10 for no other reason than the attention she pays to creating lots of different human/dragon societies. I hope you like the way it plays out.